Origins are important. Knowing where you come from helps explain who you are today and can offer clues as to where need to get to in the future. My backstory explains why I do what I do. As a child, I was encouraged to look at the natural world differently by my Mum (a biology teacher) and was injected with a puritanical zeal thanks to my father (a vicar). It was probably inevitable that I would end up working in nature conservation. But origins are also important for organisations. So, it was an absolute joy to read Tessa Boase’s excellent book “Mrs Pankhurst’s Purple Feather” which weaves together the backstories of two movements – women's suffrage and bird protection - and two women Emmeline Pankhurst and Etta Lemon. The latter was, along with three others (Emily Williamson, Eliza Phillips and the Duchesss of Portland), instrumental in establishing our charity known today as the RSPB. 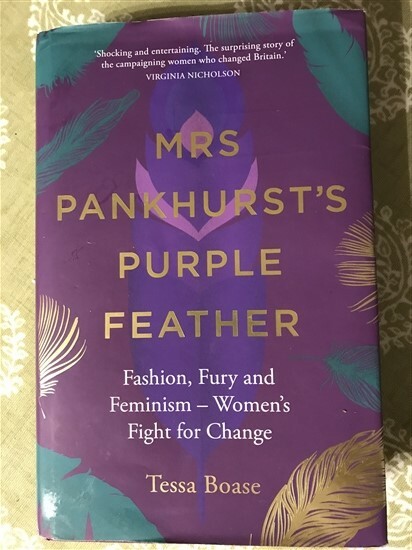 To mark the centenary of the right for some women to vote in the UK, Alison Enticknap wrote a brilliant blog about the complex relationship between the RSPB and the suffrage movement and about the different campaigning tactics used. This was all new to me. In fact, while reading the book, I kept on finding stuff that I just didn’t know (such as the fact that neutrality on the ethics of shooting was written into our constitution in 1896 nearly a decade before the Society for the Protection of Birds achieved its Royal Charter) or that challenged my assumptions about the RSPB’s history (that the men in the famous picture with placards telling the story of the egret weren’t RSPB supporters rather they were hired for the job – essentially providing paid for advertising). It also struck me (and I know that I should have thought this before) that the RSPB’s first campaign was focused on what we might categorise today as addressing the global environmental footprint of UK consumption i.e. by reducing the number of birds that were killed around the world to fuel the fashion for wearing wild birds and their feathers in women’s hats. And, it was noticeable that a network of like-minded groups such as the Massachusetts Audubon Society sprung up in other countries around this time. As I have written previously, UK consumption remains a major challenge. While the supply chains may have become more complex, evidence shows that we are still living beyond planetary limits (as demonstrated by greenhouse gas emissions driving climate change) and our own consumption (of commodities such as beef, paper, soy and cocoa) are driving deforestation which affects some of the most threatened birds (and other species) on earth. This is why the RSPB will continue, for example through our work on developing rainforest friendly chocolate, to find ways to reduce the footprint of UK consumption. Of course, the RSPB’s origins are also marked by success with the passage of the Importation of Plumage (Prohibition) Act in 1921. Yes, the campaign took over thirty years, but Etta Lemon et al stuck at it and ultimately achieved what we aspire to do today – change the way that society relates to nature. As today's publication of the video of peregrine persecution filmed in Bowland shows, even though we now have much stronger legal protection for wildlife (thanks to generations of RSPB campaigning), we still have a huge amount to do to change people's attitudes and behaviours. The RSPB has evolved over 130 years reflecting our own growth and the changing pressures on the natural world. And to be successful in the future, we need to keep on evolving. With the support of our amazing 1.2 million members, we will continue to use evidence to drive practical conservation, to shape our work with others to influence public policy to benefit nature and to inspire more people to become active for nature. 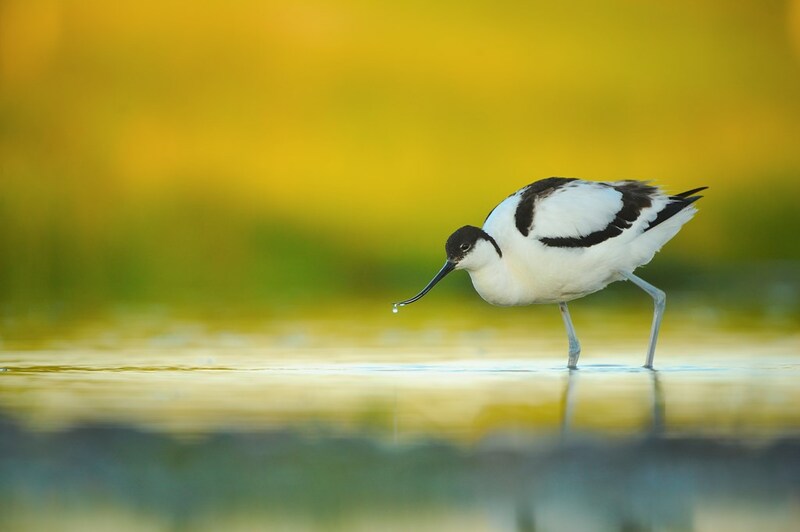 This will help us meet our ambitious plans to transform landscapes, protect the marine environment, recover threatened species and engage people both here in the UK, in the 14 UK Overseas Territories and working with our BirdLife partners across the African-European flyway. All of this is underpinned by the same passion and dedication of our foremothers. And that is what I believe will drive our success over the next 130 years. I'm a vocal supporter of the RSPB but I do wish you would show more campaigning zeal in the 21st Century about the appalling wildlife crime in the UK. What would people above in the 19/20th Century do in the 21st Century? The RSPB accidentally detects possible crimes and correctly gives information to the police for them to investigate, only for it to fail on reaching court. It is not a failing of the RSPB, but I would prefer that you campaign more actively to keep members informed of the (possibly deliberate?) failings of the justice system which would help those of us actively trying to change things.